We’ve long heard about the dangers of mixing electronic devices and water. The risk of electrocution is real — and the outcome can be fatal. The risk has only increased recently thanks to the fact that our cell phones are always within arm’s reach. We just can’t live without them, but there are some important risks that we need to be more aware of. Madison Coe, 14, from Lubbock, Texas, reached for her phone while taking a bath. Now, her parents have an important warning for everyone who has a cell phone. Their warning is spreading like wildfire — and it’s one we think is absolutely worth sharing. The incident occured in early July, when Madison was killed after she grasped her plugged-in cell phone while taking a bath. Police in Lovington, New Mexico, said the victim appears to have been electrocuted and they found a cellphone, charger cord and extension cord in the bathroom. The girl had a burn mark on her hand from where she held the phone. “We don’t know if she reached down with a wet hand to try and pick it up, or if it fell into the bathtub with her,” her father, Logan, said. “This is just one of many examples of people not being able to set down their cell phone. We’re all guilty of it,” he added. 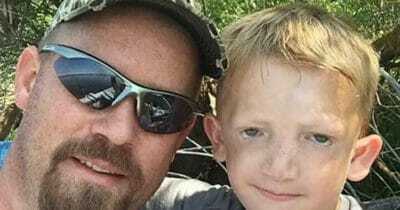 “We don’t want to see anyone else lose loved ones over something so avoidable,” Logan added. “She was a borrowed angel, and heaven has her back,” Madison’s mother said. 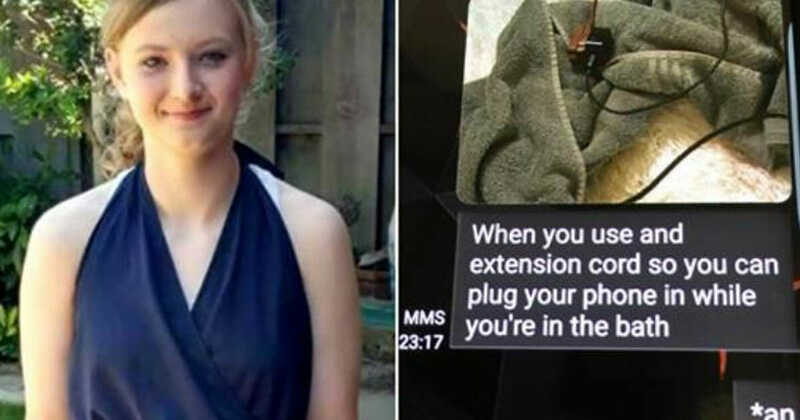 The couple later found the last picture that Madison sent on her phone – a photo showing her frayed cell phone charger attached to an extension chord, lying on a towel on the bathroom floor. 3. Make sure the plugs in your bathroom and kitchen are up to date — you can now buy cords that shut off the power when the current is flowing along an unintended path. Listen to the news report below for full details of the tragic incident. Most importantly, please consider sharing this article with all your loved ones to ensure no one makes the same mistake.